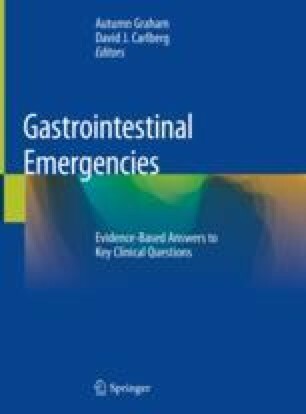 While emergent consultation to gastroenterology is typically not needed for vomiting, any patient that needs to be admitted for vomiting from a suspected gastrointestinal source should be seen by gastroenterology during the admission for assistance in both diagnosis and treatment of symptoms. When evaluating vomiting and abdominal pain, both gastrointestinal and non-gastrointestinal causes should be considered, and a thorough history is crucial in determining the etiology. Complications of persistent vomiting include dehydration, electrolyte abnormalities, Mallory-Weiss tear, and Boerhaave syndrome. While many common antiemetic medications have potential side effects, there is good safety data for the vast majority of patients, especially in limited dosing. Pourmand A, Mazer-Amirshahi M, Chistov S, Sabha Y, Vukomanovic D, Almulhim M. Emergency department approach to QTc prolongation. Am J Emerg Med. 2017; https://doi.org/10.1016/j.ajem,2017.08.044.